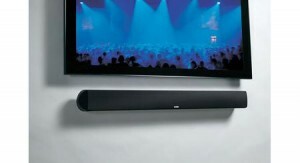 Best Sound Bar for Flat Screen TVs Add to Flipboard Magazine. So you bought a new flat screen TV. Congratulations! Have you noticed that it is hard to hear? We did too; then I discovered Sound Bars. Sound Bars are a necessity for flat screen TV’s. I didn’t realize that before we bought our new 46 inch TV. This one little sound bar will make your TV viewing much more enjoyable. My husband kept complaining that the sound wasn’t very good. I finally asked Google it to see if it was his imagination or what. He was right; the sound isn’t good on flat screen TVs. Here is why – TVs have gotten much smaller and we all love the new size; but what we didn’t realize was that there is no room for the nice speakers inside there. So, we must now purchase a Sound Bar to make the sound on our flat screen TVs much better. I did my homework and here is what I have come up with for research on Sound Bars. 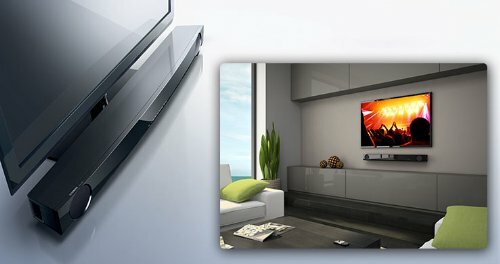 How to choose the best Sound Bar for a flat screen TV? There are many things to look at before you buy. How big is your room? How much of an audio buff are you and how much do you want to spend to get the really good sound? Shape and Size really are important. Sound Bars work really well in a small-to-medium sized room. 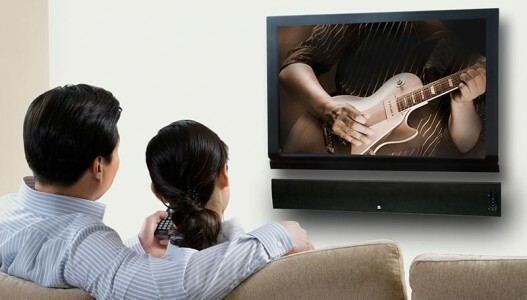 If you have a larger room, you will want to consider a larger and more powerful sound bars. The shape of your room can also make a big difference when it comes to surround sound systems. If your room is a square or rectangular room with four walls, look for sound bars that work by bouncing sound waves off the walls and will then make it seem like it is a home theater surround sound speaker system. Models that work by bouncing sound waves off the walls won’t be as effective in an large open floor plan or a room that is extremely long. You will have to look for a surround sound system then for good sound. This sound bar was designed for a TV 40 inches and larger, so that worked for our new 46 inch TV. I also like it because it has a wireless remote and Bluetooth capabilities. You can mount it on the wall, but we just put it on the table in front of the TV. The TV is tall enough on the stand that you can see over the sound bar. It blends in well with the TV since they are both black. It was really easy to connect to the TV too. Just plug in and listen. Sometimes I will turn up the TV sound to see if there is actually a difference. I am blow away at how different they each sound. FYI: Yamaha has since updated to the Yamaha YAS-105 since we bought it, but if it is anything like the one before it, it also will be perfect. So if you decide to go with the new one, rest assured, you are still buying a great product. UPDATE : It has been several months now since we have bought our Yamaha Sound Bar and we love it. The sound is wonderful! No more problems hearing what is being said. I can say that this purchase was just as important as the TV itself. 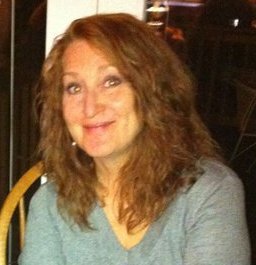 UPDATE: It has been a couple years now. We have never had any problems with our Sound Bar and we still love it. We put a TV in the bedroom, but didn’t get a sound bar. You can really tell the difference. I am so glad we bought one for the TV in the family room. Love it!